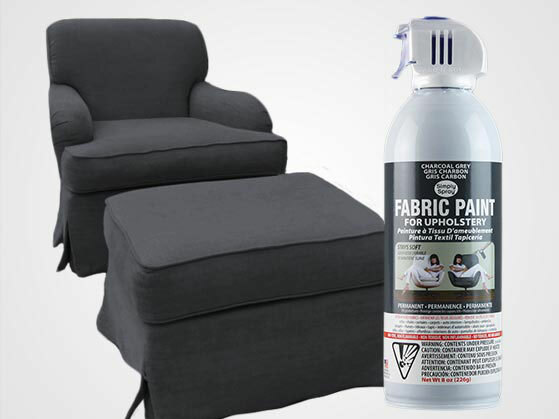 Spray your old sun-faded couches, cushions, rugs, curtains and car seats back to life with Upholstery Fabric Spray Paint. 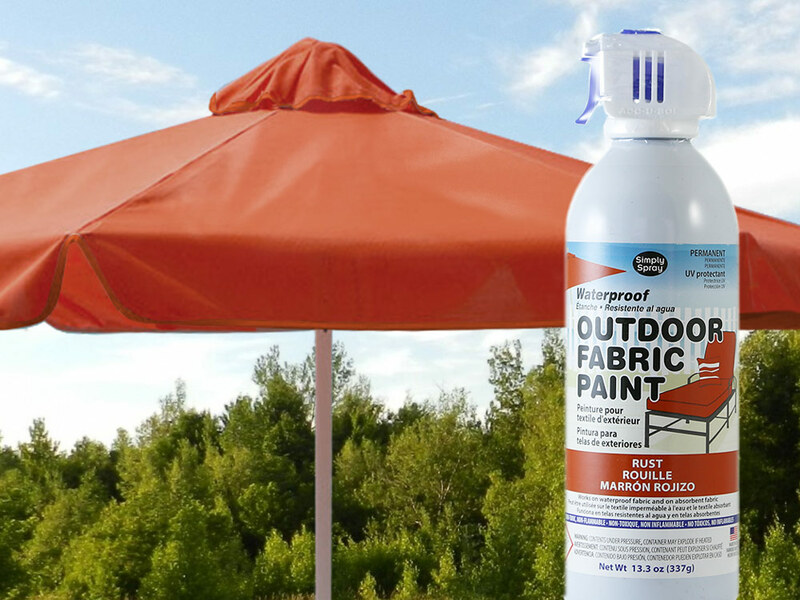 Restore and protect lounge cushions, boat seats, and sunbrellas with this new formula of waterproof outdoor paint. Add unique, personal touches to your favorite fabric pieces and create custom gifts for loved ones with this easy-to-use stencil spray. Rejuvenate old upholstered furniture or decorate your clothing with Simply Spray Fabric Spray Paint, the soft, simple and safe way to paint. Upholstery Paint is for your furniture, sofas, couches, car interiors, fabric cushions, lampshades or office cubicle dividers. It dries softly and permanently. Dries permanently in three days. It will not rub off on clothing. Bring new life to sun-faded pieces of furniture. UV protected to reduce fading. Waterproof Outdoor Paint for patio furniture, boat seats, bimini tops, umbrellas and awnings. It is stiffer drying but waterproof so it is the perfect solution for marine and outdoor applications. Give your cushions a facelift with the outdoor paint. These are highly specialized paints and each has a specific fabric that they work best on. Each paint does not work on all fabric materials. Feel free to call us to determine which paint product is best for your project and application. Visit our Facebook Page for project ideas and painting techniques.